Ole Gunnar Solskjaer personally consoled Luke Shaw following Manchester United’s exit from the FA Cup. The Red Devils succumbed to a shock 2-1 defeat at the hands of Wolves, which ended their best chance of attaining some silverware this season. The winning goal, which eventually proved to be decisive following Marcus Rashford’s late strike, was scored by Diogo Jota, who did receive some help from Manchester United‘s young left-back, Luke Shaw. The Englishman carelessly lost possession, handing Wolves the chance to launch a counter-attack, wherein Jota effortless dribbled past the 23-year-old to beat goalkeeper Sergio Romero at near post. 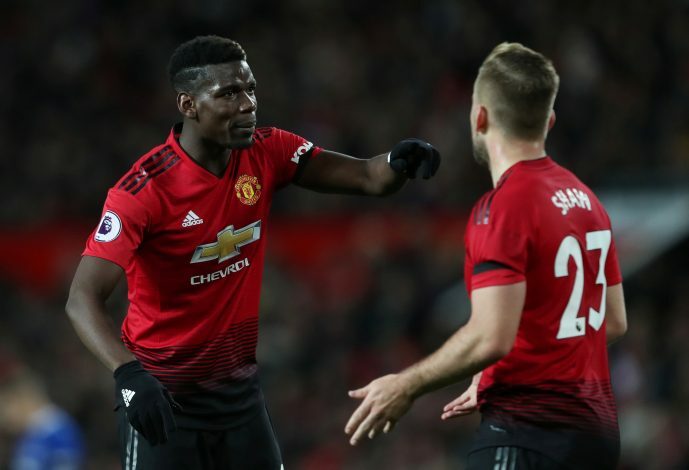 After the full-time whistle, Solskjaer was seen heading straight towards Shaw after entering the tunnel, so as to personally speak to the young defender, report Manchester Evening News. While Shaw was clearly dejected, Ole reassured the player, which led to the former Southampton starlet breaking into a smile despite his team’s elimination from the competition. Further speaking about his team’s performance on the night, he added: “We’re disappointed, everybody is disappointed, but we’ve got to look forward and put behind the result today. Today we got what we deserved because we never deserved to win this game. “It was a big step backwards. That’s the poorest performance since I came here, a lack of urgency forward, lack of forward passing, lack of regains, the international break sometimes come in handy and maybe now we would have loved to play again and and put it right.